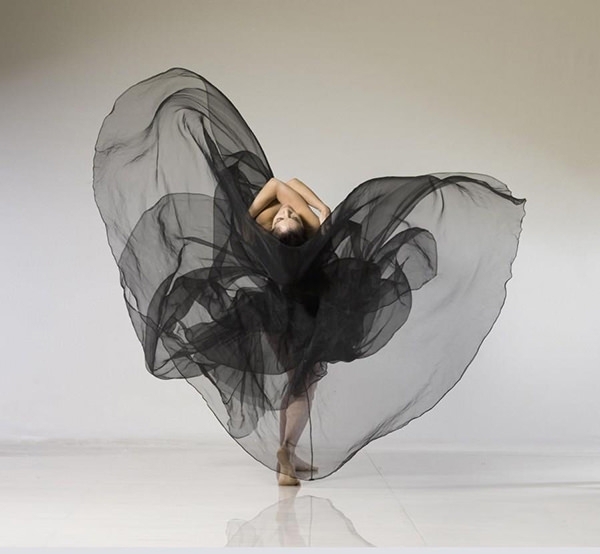 The amazing dance photograph is a beautiful capture of a flexible ballerina in a dance pose. This photograph can be used as by dancers and ballerinas as a screensaver on their phones and computers. 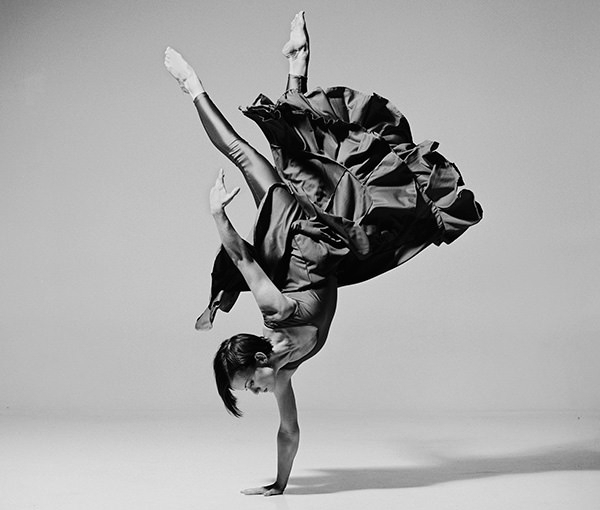 The photograph can be very inspiring to dancers who are beginners and dream of an ambitious dance career. 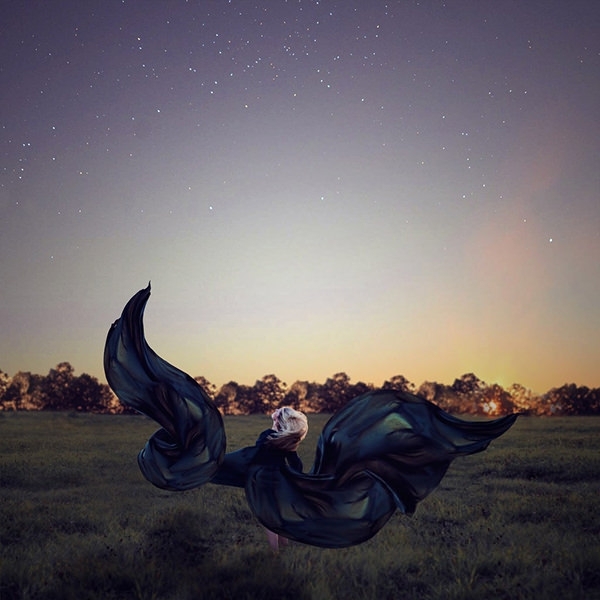 This modern art photograph is a unique combination of a lady in a gorgeous flowing gown with the back drop of an evening sky where the stars are just appearing. This photo is ideal to print out and frame in a travel agency office, living room and various other places. 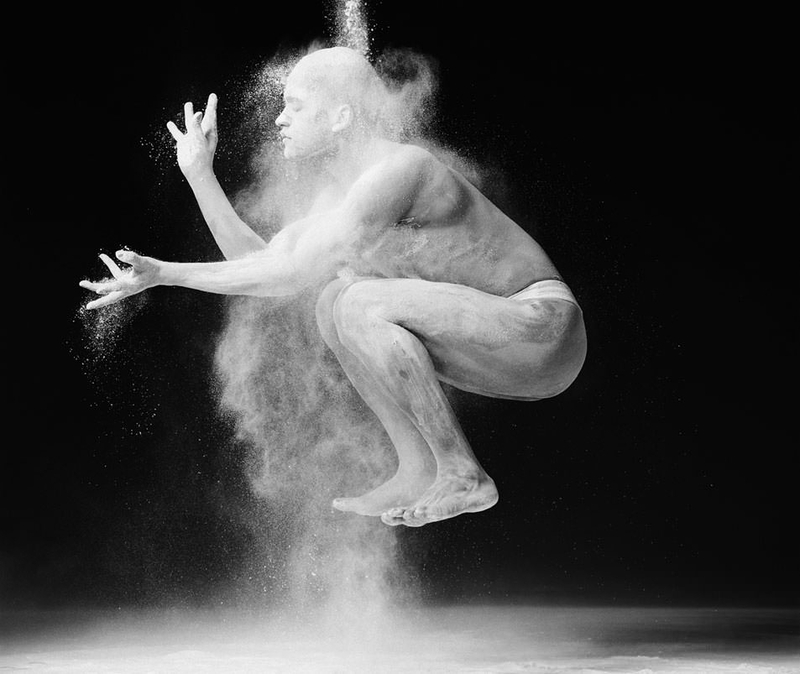 The stunning modern art photo is a capture of a man leaping up and a white powder being sprinkled all over him. Artists and photographers can use this photograph as a wallpaper on their smartphones and laptops. It can also be used for display at a photo exhibit. 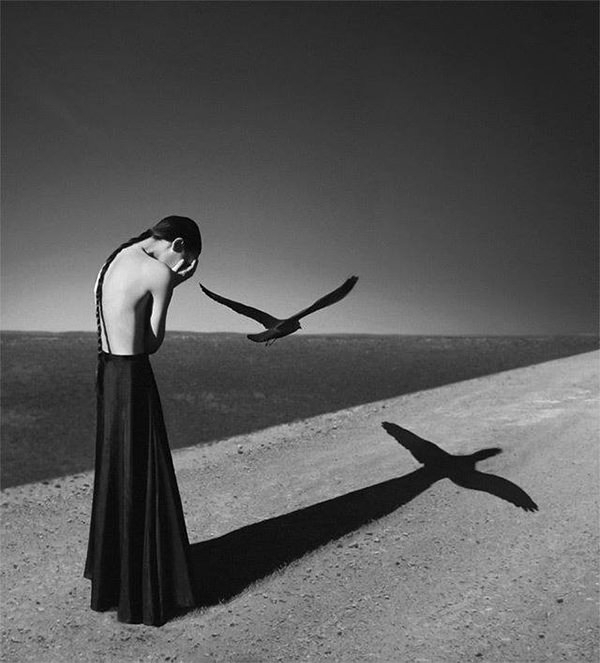 The creative art photograph is a capture of a lonely woman in the desert, with a bird hovering around her. This photo would be the perfect screensaver or wallpaper for anyone who is going through a rough time in their life. 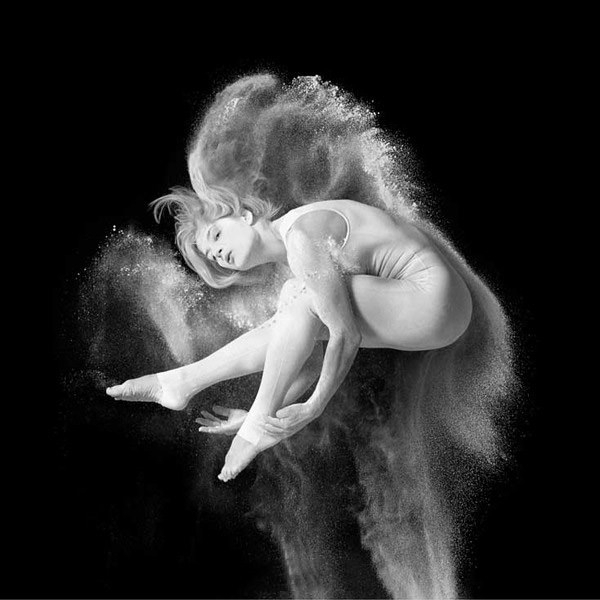 This breathtaking dancing photograph has the image of a flexible dancer doing a backbend in a flowing gown. This photo can be printed out, framed and displayed at the entrance of reception of a dance studio. 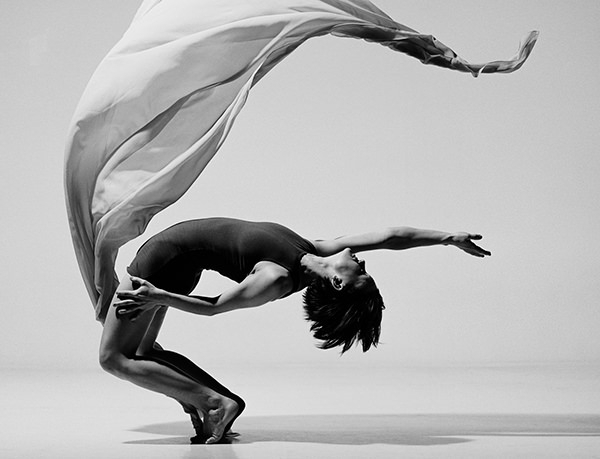 The photo can be a great inspiration to upcoming and budding dancers. 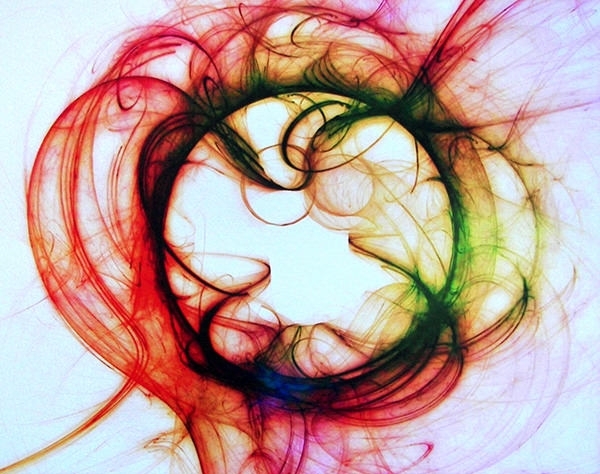 The modern art photograph is a capture of multicoloured smoky swirls. The abstract photograph can be used as a wallpaper or screensaver on computers and smartphones. It can also be printed, framed and displayed in the living room or study of an apartment. 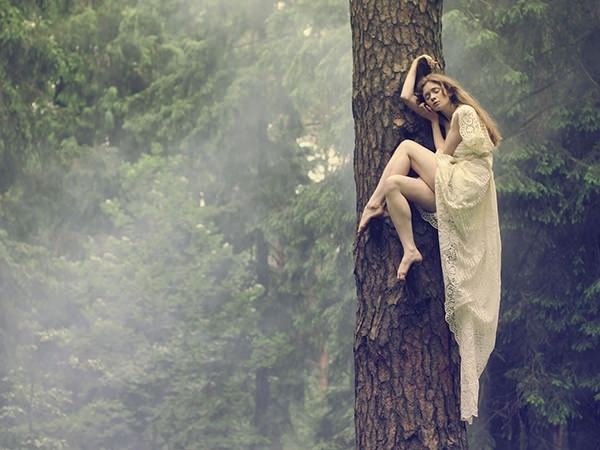 The nature art photograph is the capture of a beautiful and mystical looking woman perched on a tree. The backdrop of the photo has the image of woods. The whole photograph has a very gorgeous and enchanted forest vibe to it. The realistic modern art gallery photo has the image of woman leaping in dance while twirled in a thin and transparent fabric. This photo can be used as a screensaver or wallpaper on the laptop, tablet or on a smartphone. 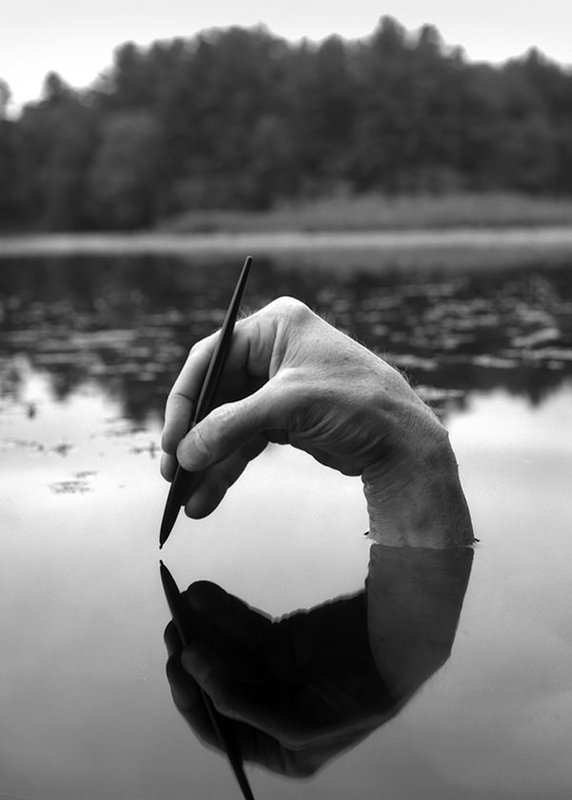 This modern art photo has a very deep and psychological meaning to it. 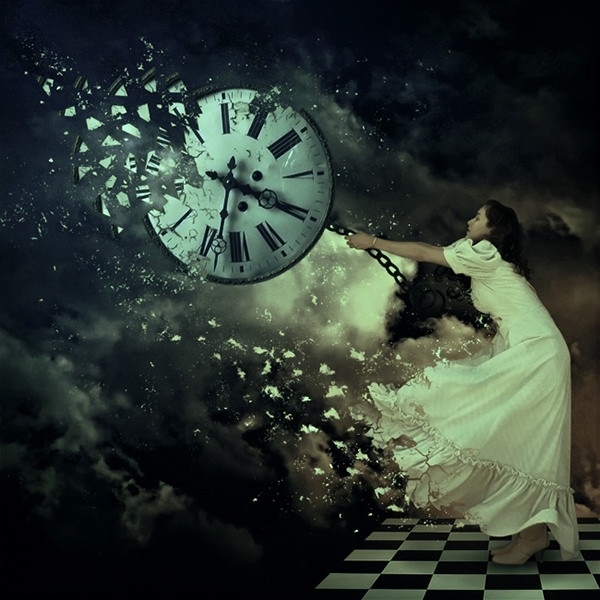 It has the image of a woman clinging onto a time clock as the time clock fades away into the night sky. This photo can be printed, framed and exhibited in a photo exhibit. 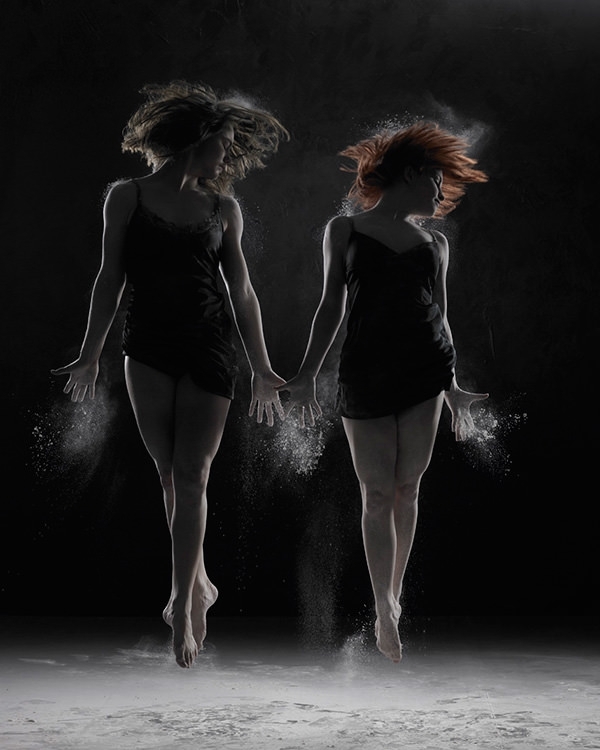 The stunning dancing air photograph is a capture of a couple leaping in air during a ballet performance. This photo can be a real inspiration to couples who are looking to have a long and successful dance career together. It can be used as a wallpaper on a smartphone or laptop. There is a mind-boggling number of graphics available for every purpose in this collection. 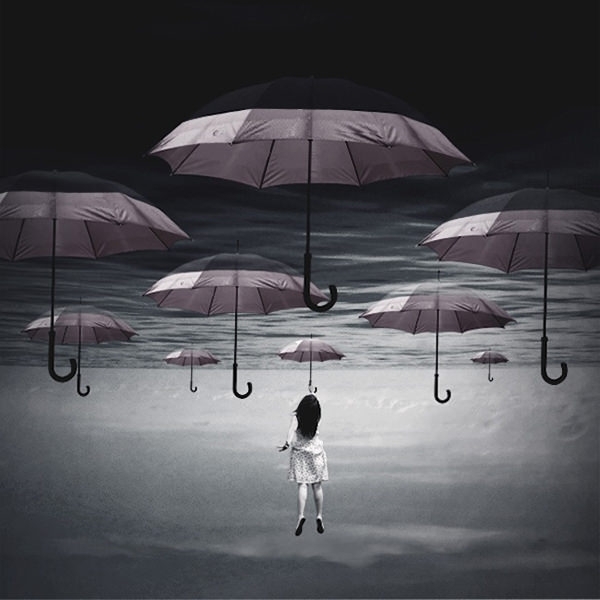 There are pictures of digitally manipulated photographs – for example, a black and white picture of city life tweaked with some pops of color here are there, or a natural scene whose color scheme has been altered. There are images of famous paintings retouched with digital art to make them more interesting and contemporary. You can download these images for free, blow them up, print them out and frame them to make amazing pictures for a blank wall in your lounge – maybe you can even create an eye-catching gallery wall, which will be a conversation piece for years to come! You can also use these framed pictures on café or restaurant walls to draw in young crowds. Use these images as wallpapers for your various devices, or on laptop skins, mugs, posters, flyers – let your imagination run wild!